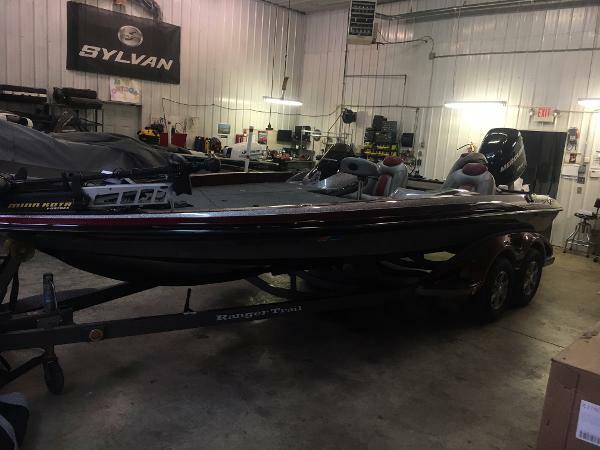 2017 Bass Cat Boats Eyra If you are looking for a total performance bass fishing machine for a great price, look no further than the 2017 Bass Cat Eyra. The choice of so many professional anglers, one quick look at this rig and you will understand why the pro's love it. Measuring in at 20 feet 2 inches long with a 94 inch beam, the Eyra is one fast ride. This unit is upgraded with a Minn Kota 4 bank Precision battery charger, Minn Kota Fortrex 112, Twin 8 foot Power Pole Blades, Hamby's keel protector, boat cover, Humminbird helix 9 SI and DI, BRP Icon 3.5 gauge, hot foot, Balzout 9 inch mount, grab post and steps on trailer, LED lights, stalker wheels and fulton jack. This unit is powered by an Evinrude 250 HO G2 outboard. Call us at (937)-382-8701 with any questions you may have. 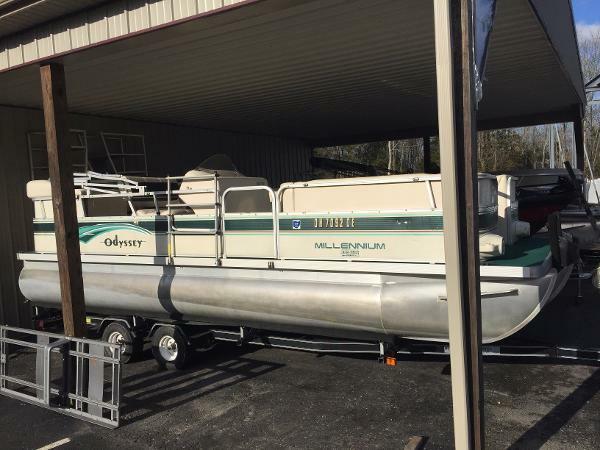 2002 Odyssey Pontoons 2102 Millennium I/O Here is a used 2002 Odyssey Millennium 2102 TT I/O pontooon boat. This boat measures in at 21 feet long and has a 96 inch beam. This is a cruising model pontoon featuring two front couches, one L shaped sectional and a captains chair at the console. This pontoon is a tri-toon and is powered by a Mercruiser stern drive engine. Please call us at (937)-382-8701 with any questions you may have. 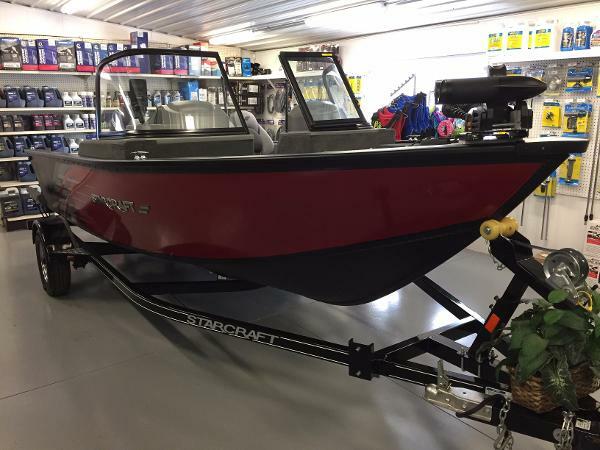 2017 Starcraft Renegade 168 DC Here is a 2017 StarCraft Renegade 168 DC aluminum fishing boat. The Renegade measures in at 16 feet 11 inches long and has a 89 inch beam. 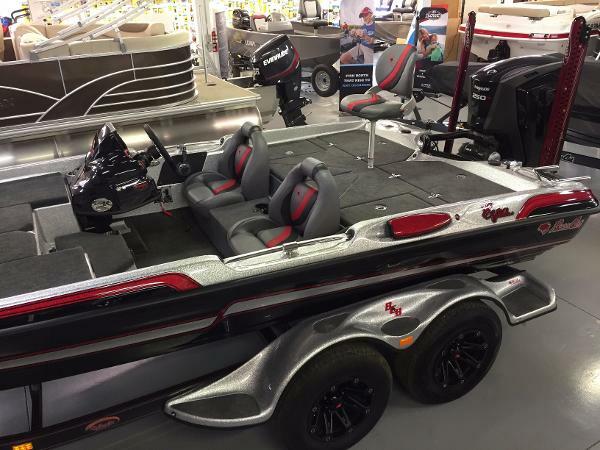 This unit comes ready to fish with a Minn Kota Power drive trolling motor, Humminbird fish finder ram mounted at the console, rear conversion bench seat and a towable boat cover. This rig is powered by the Evinrude E-TEC 60 hp outboard. Please call us todat at (937)-382-8701 with any questions you may have. 2011 SunChaser 8522 Cruise Here is a used 2011 SunChaser 8522 Cruise pontoon boat. This unit measures 23 feet 10 inches long and has a 102 inch beam on it with a 30 gallon built in gas tank. 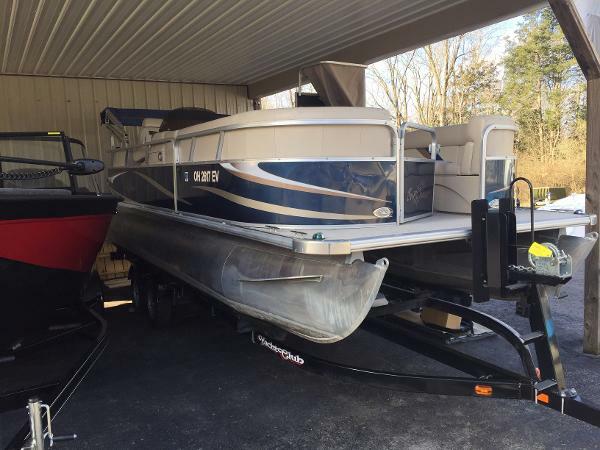 This pontoon is a one owner boat and comes with all kinds of options on it. It is upgraded with Aluminum under skin to protect the bottom of the boat, hydraulic steering, depth gauge, extra speakers, galley sink option, playpen cover installed, ski tow bar, table kit, extra disc brake option on trailer, I-Command gauge package for the Evinrude outboard. The I-Command package is a digital display screen that gives you engine information. The boat is powered by a Evinrude 130 outboard. Please call us at (937)-382-8701 with any questions. 2017 Bass Cat Boats SABRE FTD VISION Here is a 2017 Bass Cat Sabre FTD Vision bass boat. The Sabre FTD measures in at 18 feet 1 inch long and has a 93 inch beam. The Sabre has a haul weight of 1215 pounds and has a 33 gallon fuel tank. 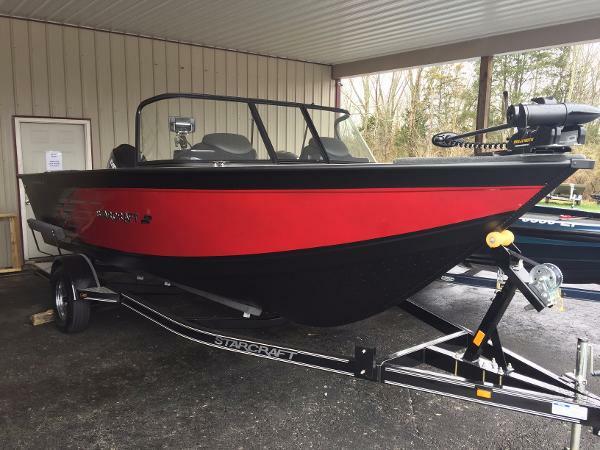 This Sabre is ready to run and fish with a Minn Kota 80 Fortrex trolling motor, 2 Humminbird Helix 5 Sonar/GPS graphs, on board battery charger system, Evinrude G2 hot foot and 3.5 Icon gauge, 6 bolt slidemaster jack plate, tilt steering and pro trim. The Sabre is powered with a Evinrude 150 HO G2 outboard. This rig will get you up out of the hole and to your favorite fishing spot real quick. Please call us at (937)-382-8701 with any questions you may have. 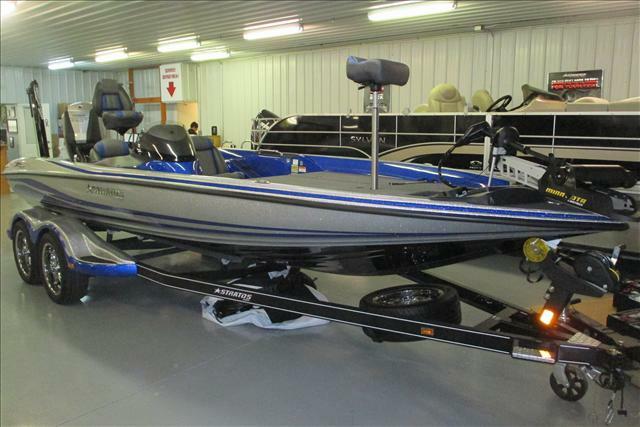 2012 Ranger Z521 Comanche Here is a used 2012 Ranger Z521C Fiberglass bass boat. This bass boat measures 21 feet 7 inches long and has a 96 inch beam on it. 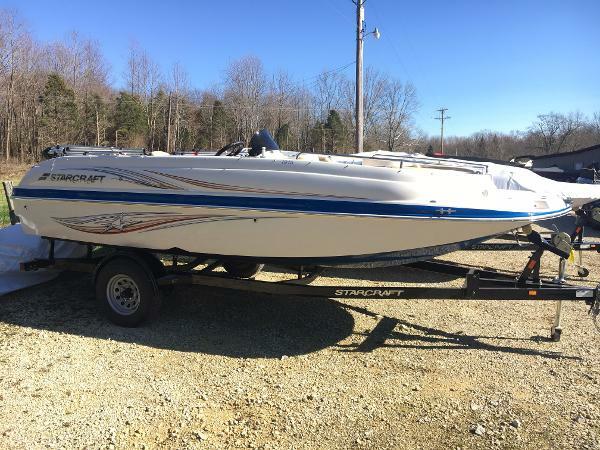 This is a one owner boat and is very clean and in excellent condition. It comes ready to fish with a Minn Kota Fortrex trolling motor, Lowrance HDS 8 flush mounted at the console, Lowrance HDS 10 at the bow, TH Marine hoot foot, dual pro trim levels on wheel, Atlas hydraulic jack plate, Minn Kota battery charging system and towable boat cover. This Z521C is powered by a Mercury 250 Pro XS. The motor has 384 run hours on it and compression test at 125 per cylinder. We have a full engine report printed and you will see this motor has hardly ever been run above 4000 RPM's. 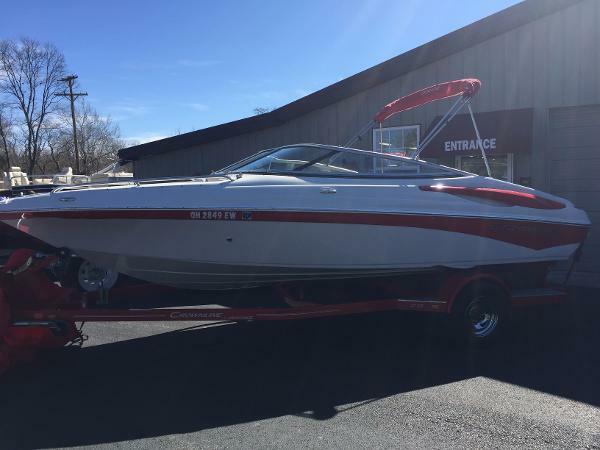 This boat is priced to sell, please call us at (937)-382-8701 with any questions. 2017 SunChaser 8520 4pt Here is a 2017 SunChaser 8520 4-PT fishing model pontoon boat. This pontoon measures 20 feet 10 inches long and has a 102 inch beam. Upgrades added to this unit are full sea weave floor, trolling motor plug, full playpen cover installed, console door and a gauge package. This rig is powered by a Evinrude 90 hp outboard. Please contact us at (937)-382-8701 with any questions you may have. 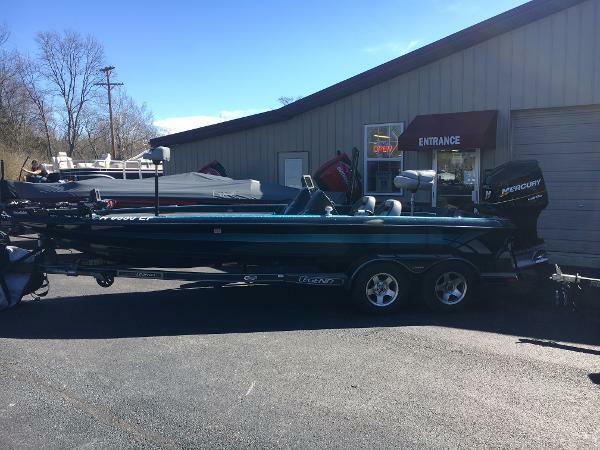 2006 Legend Boats LE21 DCX Here is a 2006 Legend LE21 DCX bass boat. This boat comes loaded with all kinds of serious bass fishing features like a Motorguide 36V trolling motor, Lowrance HDS 10 graph ram mounted at the console, Lowrance HDS 7 ram mounted at the bow, on board battery charger, lock bar, passenger console, 10 inch manual jack plate, hydro wave and boat cover. This boat is powered by a Mercury 250 Pro XS Racing engine. Please call us at (937)-382-8701 with any questions. 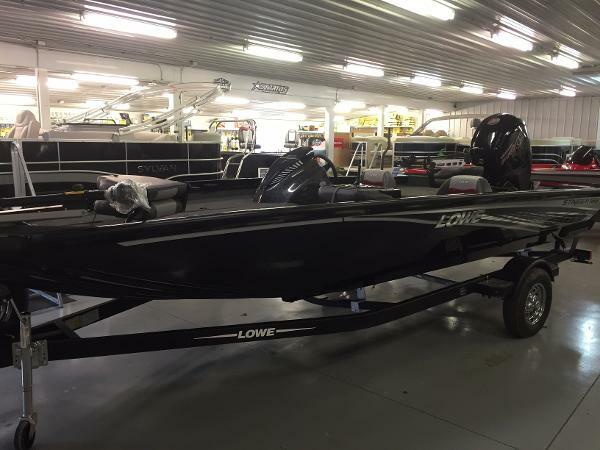 2017 Lowe FM 165 Pro SC Here is a 2017 Lowe Fishing Machine 165 Pro SC aluminum fishing boat. This boat measures 16 feet 5 inches long, has a 82 inch beam and carries 26 gallons of fuel. 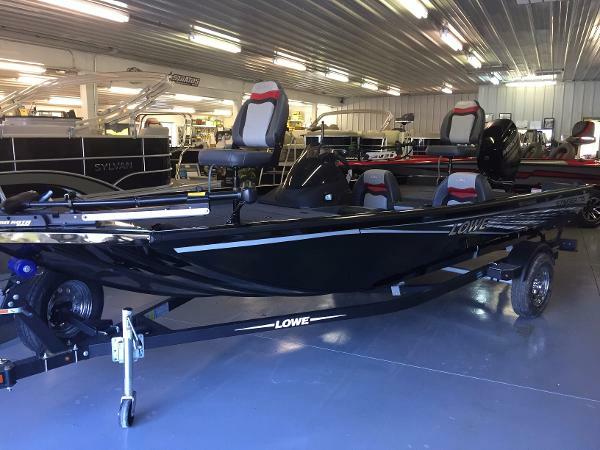 This unit comes ready to fish with a Motorguide trolling motor, Lowrance Hook 3 color graph at the console and is ungraded with full vinyl flooring and a extra pedestal seat assembly. This boat is powered by a Mercury 60 hp 4-stroke outboard. Please call us at (937)-382-8701 with any questions you may have. 2011 Crownline 21 SS Here is a 2011 Crownline 21 SS fiberglass runabout boat. This bowrider is 21 feet long and has plenty of room for the family for a day out on the water. This boat is a one owner and was very well taken care of and very clean. 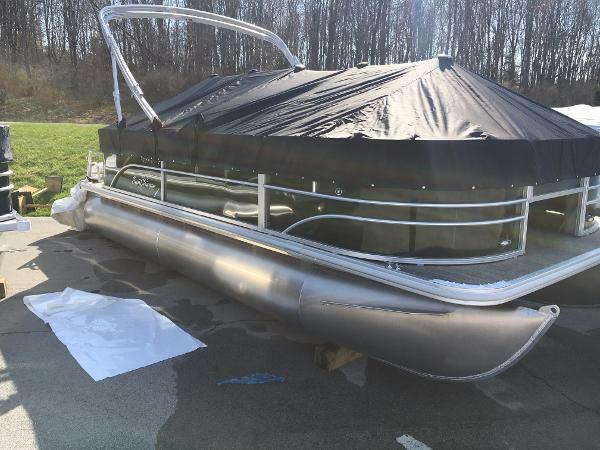 The boat features a towable boat cover, bimini top, filler customs for the bow area to create a full bed spot for riders, marine mat on the swim deck and snap in carpeting. The boat is powered by a Mercruiser 4.3 Liter stern drive motor with stainless steel prop. Please call us at (937)-382-8701 with any questions you may have. 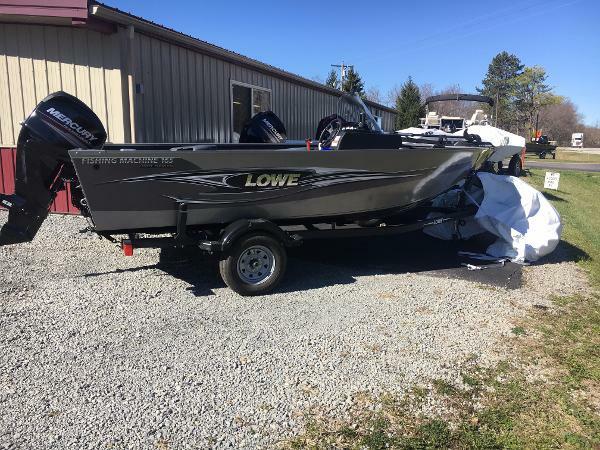 2017 Lowe Stinger 175 Here is a 2017 Lowe Stinger 175 aluminum fishing boat. The Stinger 175 is an awesome boat for multiple styles of fishing. With three across seating on the front deck and two 23 gallon livewell in the boat, the Stinger 175 has all the features you need to go after multiple species of fish. This boat measures 17 feet 5 inches long and a 85 inch beam. 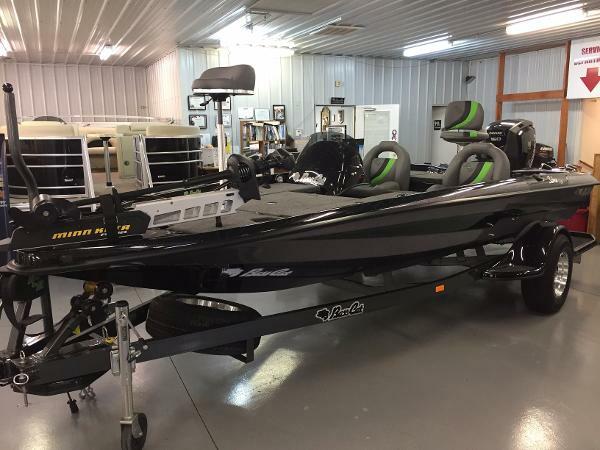 This rig comes ready to fish with a Minn Kota trolling motor, Lowrance fish finder, extra fishing seats, recessed trolling motor foot pedal, recirculating livewells, towable boat cover and spare tire. This boat is powered by a mercury 60 hp outboard. Please call us at (937)-382-8701 with any questions you may have. 2017 Lowe Stinger 188 Brand new for 2017 Lowe introduces the Stinger 188. This 18 foot 8 inch aluminum fishing boat with a 94 inch beam offers you a large wide deck space for all kinds of fishing. Three across seating on the front deck allows you to spider rig and crappie fish with your fishing partner. The Stinger 188 comes ready to fish with a Minn Kota 70 trolling motor, Lowrance Hook 5 fish finder and tons of storage space for all your gear. This rig is powered by the new Mercury 115 Pro XS four-stroke outboard. Call us today with questions and availability at (937)-382-8701.